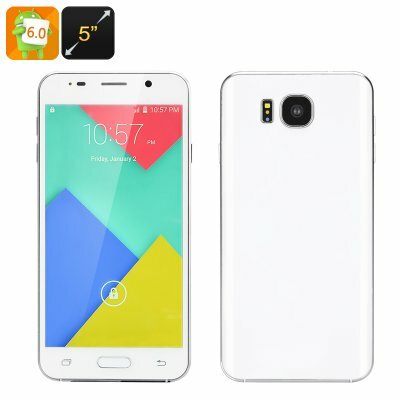 Successfully Added Android 6.0 Smartphone - 5 Inch IPS Screen, Quad Core CPU, Smart Wake, 64GB SD Storage, Dual SIM (White) to your Shopping Cart. With all this on offer this entry level Smartphone is a real steal at the price and will let you enjoy a full days usage with it 2200mAh battery p[roving up to 12 hours of talk time. Coming with a 12 months warranty this android 6.0 Smartphone is brought to you by the leader in electronic devices as well as wholesale Android phones..